A fireplace is featured in the lobby of this seven-story brick building, which was constructed in 1900. 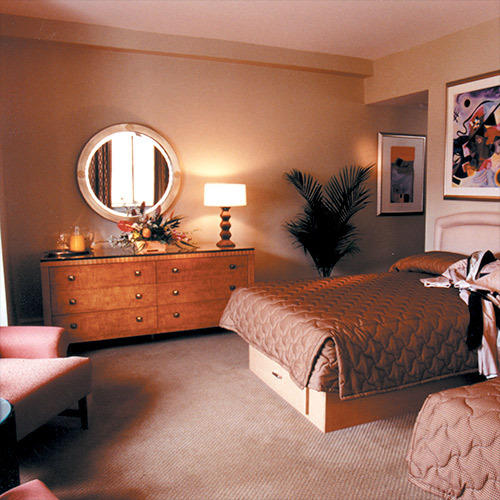 Room size can be compact, but all feature comfortable beds and light wood furnishings. The staff is knowledgeable and quick to offer great local-activity suggestions. Complimentary coffee and tea are offered after 5 p.m. and breakfast is provided each morning. Feel free to unload your luggage in the hotel management's parking spots before parking your car. Smoke free premises. 48 units. 7 stories, interior corridors. Jct Spruce and 12th sts. 301 S 12th St 19107. Station: 12th-13th & Locust. wireless Internet, safes. Some: refrigerators.